This book is not a history, but rather a compilation of gospel principles as taught by President John Taylor. However, in order to put his teachings in a historical framework, the following chronology is provided. This summary omits many important events of his life, including his marriages and the births and deaths of his children, to whom he was devoted. John Taylor was ordained an Apostle in 1838 and sustained as the third President of the Church in 1880. Born in Milnthorpe, Westmoreland, England, the second of James and Agnes Taylor’s children. Moves with his family to Hale (near Milnthorpe), where he helps work on a small farm left to his father by an uncle (11; numbers in parentheses show John Taylor’s age). Apprenticed as a cooper (barrel maker) in Liverpool. Within a year his master’s business fails and he returns home (14). Leaves the Church of England and becomes a Methodist. Spends most of his free time studying the Bible, reading theological works, and praying (16). Becomes a Methodist “exhorter,” or lay preacher. Receives a strong impression that he will go to America to preach the gospel (17). Parents and remainder of family emigrate to Toronto, Canada, leaving him in England to settle family business (21 or 22). Leaves England for New York City. Commences preaching in Canada (23 or 24). Serves as a preacher in the Methodist Church in Toronto. Continues studying and searching the scriptures (24–27). Elder Parley P. Pratt arrives in Toronto to preach the restored gospel (27). 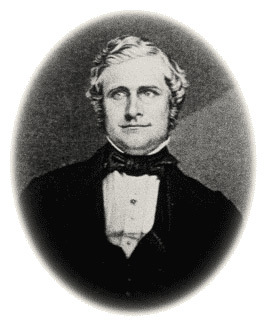 Elder Pratt had been called to the Quorum of the Twelve Apostles in 1835. Baptized by Parley P. Pratt (27). Serves as the Church’s presiding officer in Canada (27–28). Goes to Kirtland to meet the Prophet Joseph (28). Ordained an Apostle at Far West, Missouri, on 19 December, by Brigham Young and Heber C. Kimball, under the direction of Joseph Smith, who was in Liberty Jail (30). Arrives in Great Britain as a missionary. Is the first missionary to preach the restored gospel in Ireland and on the Isle of Man. Oversees the preparation and printing of the first edition of the Book of Mormon published outside the United States; also assists in preparing a hymnbook and publishes several missionary pamphlets (31). Returns to the United States with several of the other Apostles (32). Appointed by Joseph Smith to edit the Times and Seasons, a Church publication. Also edits the Wasp (1842–43) and then its successor, the Nauvoo Neighbor (1843–45), both Nauvoo newspapers. Chosen to be a member of the Nauvoo City Council, a regent of the University of Nauvoo, and Judge-Advocate in the Nauvoo Legion (33). Witnesses the martyrdom of Joseph and Hyrum Smith in Carthage Jail and is seriously wounded during the attack (35). Helps organize the Mormon Battalion at Council Bluffs. Goes to Great Britain on a second mission with Parley P. Pratt and Orson Hyde (37). Returns to Winter Quarters from England. Leads a large company of Saints to Utah, arriving in October (38). Serves in France as a missionary. Near Boulogne offers a prayer dedicating the country for the preaching of the gospel. Establishes and edits the first Church periodical in France, Étoile du Déseret (Star of Deseret). Helps translate the Book of Mormon into French. Publishes the first Church periodical in Germany, a monthly newspaper named Zion’s Panier (Zion’s Banner). Under his direction the Book of Mormon is first published in German. Writes The Government of God (41–42). Elected as a legislator for the Territory of Utah (45). Serves a mission in New York, where he superintends the affairs of the Church in the eastern states. Publishes a newspaper titled The Mormon (46–48). Returns to Utah. Is elected Speaker of the House of the Utah Territorial Legislature, a responsibility he fulfills for several years—in addition to his duties in the Church (49). Serves as Probate Judge of Utah County (59–61). Brigham Young dies. For the next three years, John Taylor leads the Church as President of the Quorum of the Twelve (68–71). Sustained as President of the Church, with George Q. Cannon and Joseph F. Smith as counselors (71). United States Congress passes the Edmunds bill, making plural marriage a felony and prohibiting polygamists from voting, holding public office, or performing jury duty (73). Publishes The Mediation and Atonement (73). Dedicates the Logan Utah Temple (75). Receives word during a visit to California that federal officials have ordered his arrest for practicing polygamy. Returns to Salt Lake City on 27 January. On 1 February, preaches his last public sermon and, in hopes of limiting the persecution against the Church by federal authorities, goes into hiding (76). At age 78, dies in the Thomas Roueché home in Kaysville, Utah. During his administration, Church membership reached over 150,000.